Recently, I went to San Diego with my dining partner. We toured all the sites to see: San Diego Zoo, Gaslamp Quarter, Wild Animal Safari, In N Out Burger. You get the idea. It was a great trip, but I wasn’t overly impressed by the food out west. 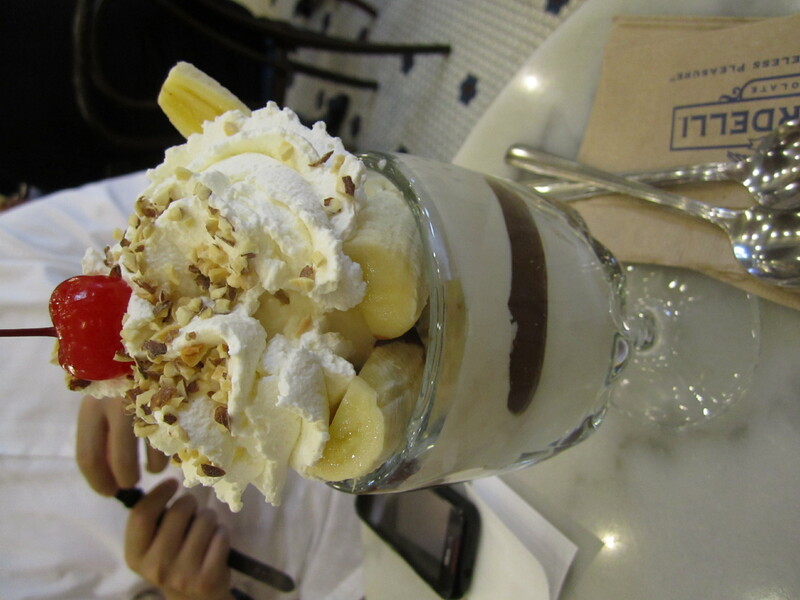 Banana ice cream sundae from Ghirardelli Ice Cream Shop in the Gaslamp Quarter. It was perfect. 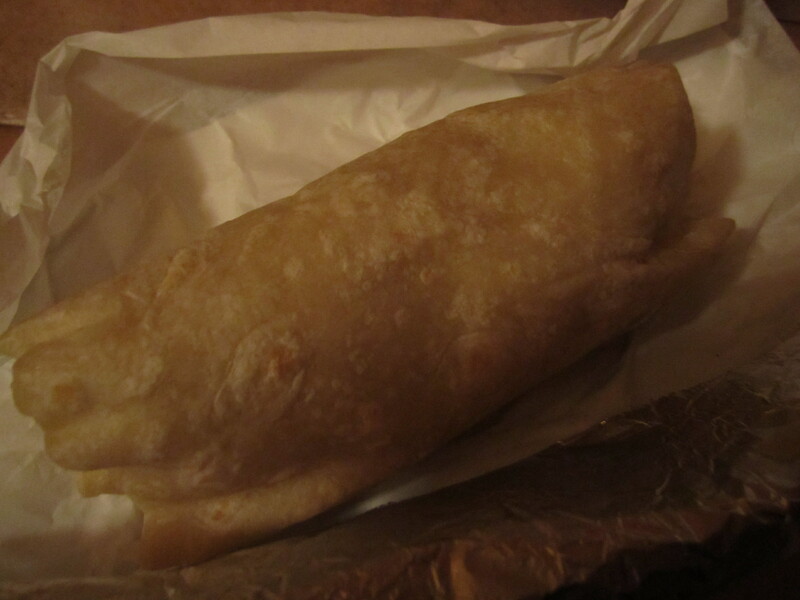 Kobe beef burrito from Ortega’s. It was okay. 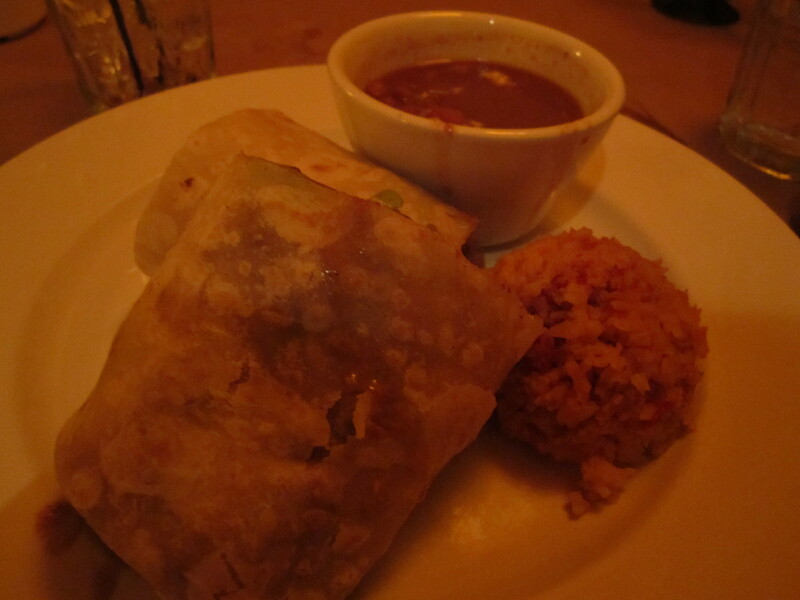 I thought I’d be blown away by the Tex-Mex in San Diego, but it was subpar overall. This dish was from Whisk n Ladle, a restaurant in La Jolla. 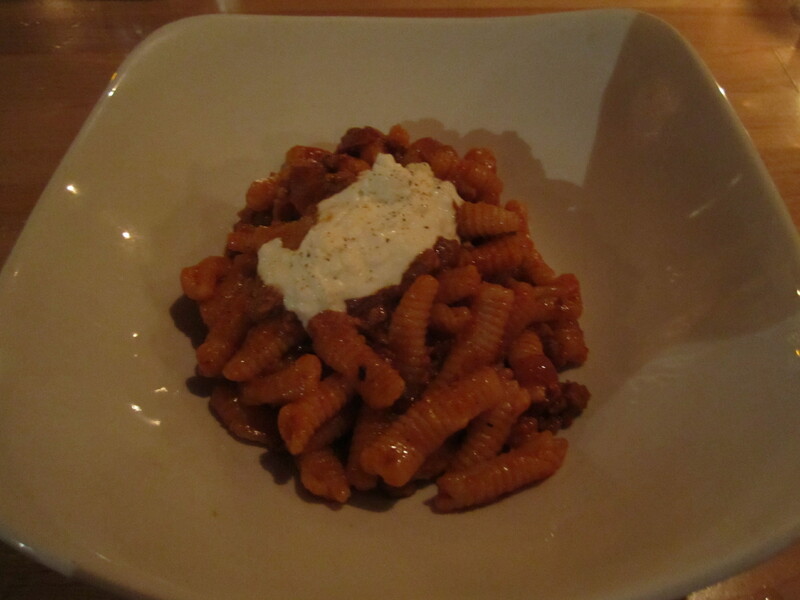 I don’t remember what this was called (cavatelli with something? ), but it was delicious. Any trip to California would not be complete without a visit to In N Out Burger. I had my burger Animal Style, which comes with grilled onions, pickles, and the special In N Out sauce. It was, in a word, fantastic. 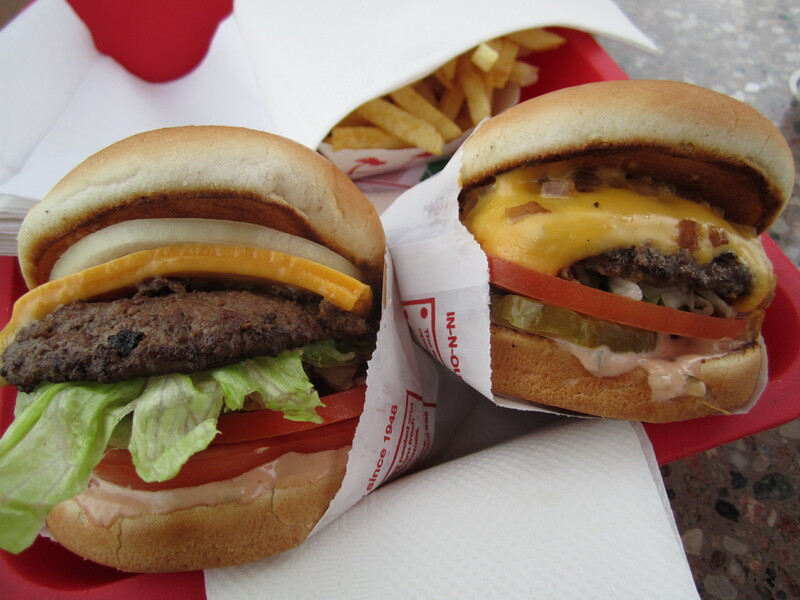 For me, In N Out comes second to Shake Shack. Too bad we’ll never see an In N Out on the East coast. 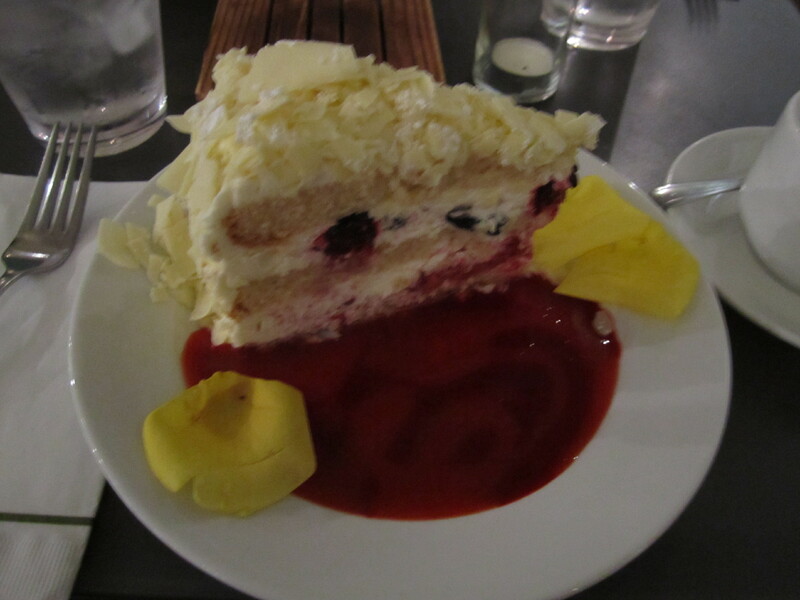 The Ivoire cake from Extraordinary Desserts. The establishment’s minimalist interior and gleaming dessert case felt like something directly transplanted from New York. 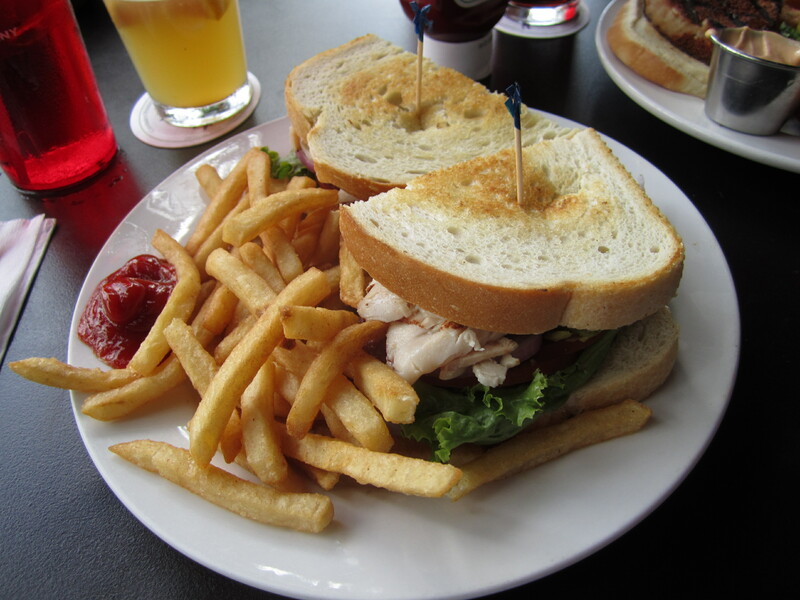 Here is the BLT from the Coronado Brewing Company. Like most sandwiches in California, this one contained avocado. No complaints here. 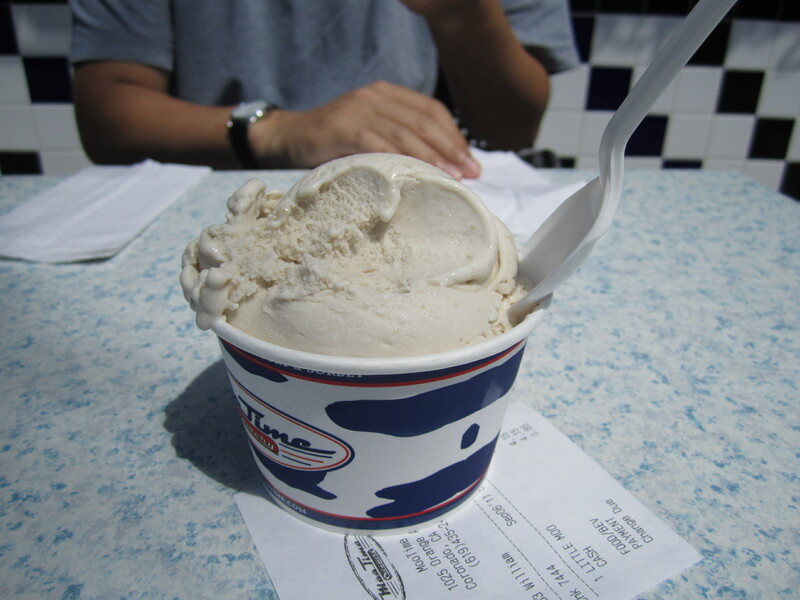 We tried ice cream from Moo Time Creamery in Coronado. The banana and pomegranate chip ice creams were creamy and flavorful. 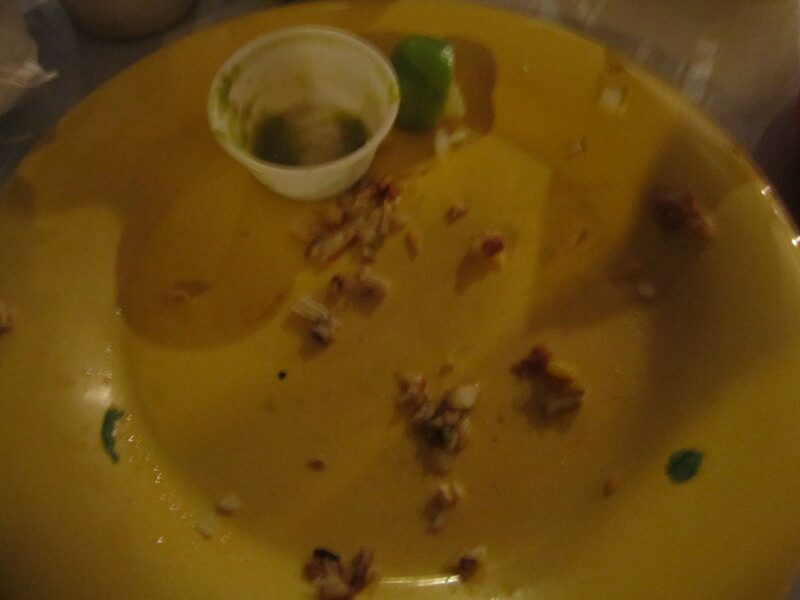 Here is a plate where there was once grilled chicken tacos from Mama Testa Taqueria in the Hillcrest neighborhood. I think the guidebook I used recommended this place. The tacos were just okay, which is basically my sentiment regarding all of the food in San Diego. If you’re going to San Diego, don’t expect to be wowed by its cuisine. I was surprised by how average the food tasted. I supposed I have a New York-seasoned palette, and shouldn’t be surprised by my reaction.